It’s always difficult when you plan any type of holiday to make sure you think about the youngsters and especially teenagers and even more so when you plan a ski holiday. As ski holidays are not cheap making sure you choose the ideal ski resort where the younger members of the family are happy to get out of bed can be a real challenge. Snowboarding may become a fascination for them and so they don’t want to spend all day skiing with the rest of the family. If you can find a resort that offers teen ski school this is a perfect way of giving them a little independence but knowing they are safe. Teen ski schools generally offer ski -training groups for 13 to 17 year olds these can be found in the French Alps resorts of Courchevel, Meribel, Tignes, Val d’Isère and Val Thorens. Here they can learn in a safe environment how to snowboard and are shown how to improve their skills in the terrain parks. Your children will wear helmets and a spine protector along with wrist protectors, impact shorts, elbow and knee – pads. There is specialised equipment which can be hired so don’t worry about the extra expense. The joys of being a parent bring the worry of Après ski which is wonderful but we need to keep an eye on how the older teenagers handle themselves. There is always risk of an avalanche therefore we need to teach our teenagers what risks are involved and how to keep safe especially if they have enjoyed a night out beforehand. This won’t apply to the 13 and 14 year olds but will to the plus 17 year olds. The legal limit in France, Italy, Austria, and Switzerland to buy alcohol is 18 but some countries, including Austria and Switzerland, allow 16 year olds to buy beer. As we all know its not easy to keep a teenager in so try to book a family orientated hotel where the entertainment is in house where hopefully there will be other families with children the same age. Another tip is to always make sure your child eats a good breakfast before setting off for a days skiing and another good idea is make sure the whole family each have a backpack. This can carry water, a sandwich, a bar of chocolate to keep their energy levels up and provide them with a snack. 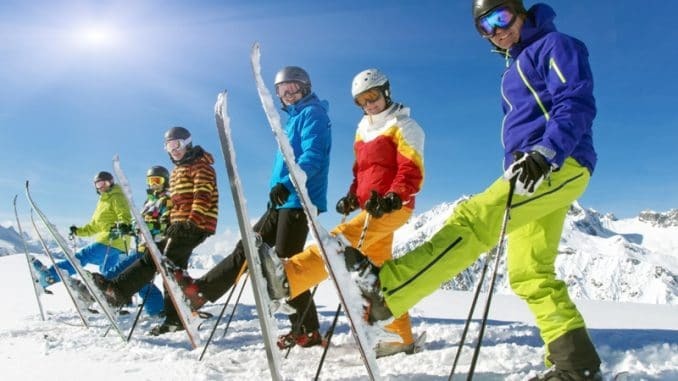 When booking your next ski holiday take a look at the family friendly resorts this will help to keep your mind at ease and the youngsters will not be exposed to groups of older teens who often get caught up in the Après ski rather than the skiing itself. 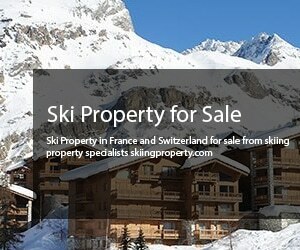 Over time you can teach them how to behave responsibly on the slopes and how to enjoy evenings but not overindulge. As they say everything in moderation and they will enjoy the atmosphere and variety that this wonderful type of holiday can bring to a family.